This Optimum series is hailed as a great success, winning approval from players in all genres of music. 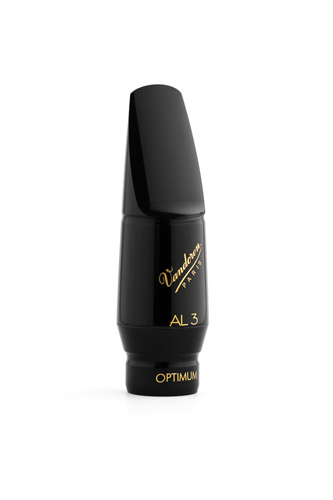 The AL3 is primarily chosen by grade players and more classical users wanting a good all round mouthpiece with a closer facing that suits harder reeds. Straight through round tone chamber and a Medium Long facing. Especially suited to classical and graded repertoire. The AL3 has quite a narrow tip opening and as such has a focused controlled sound that suits a harder reed set-up. Returned as my son kept the Selmer S80 which was easier to play overall. But this Vandoren is good quality and the decision is subjective.